Between the yellow gold and the diamonds of this 14K gold beaded diamond heart ring, Apples of Gold Jewelry offers a perfect ring to add a touch of style to your day! The small beaded design of the band stretches around the side and the front, which leads up to a small heart in the center of the band. The heart features a group of diamonds that add plenty of lovely accent to this stunning ring, which is sure to make a lasting impression on her heart! 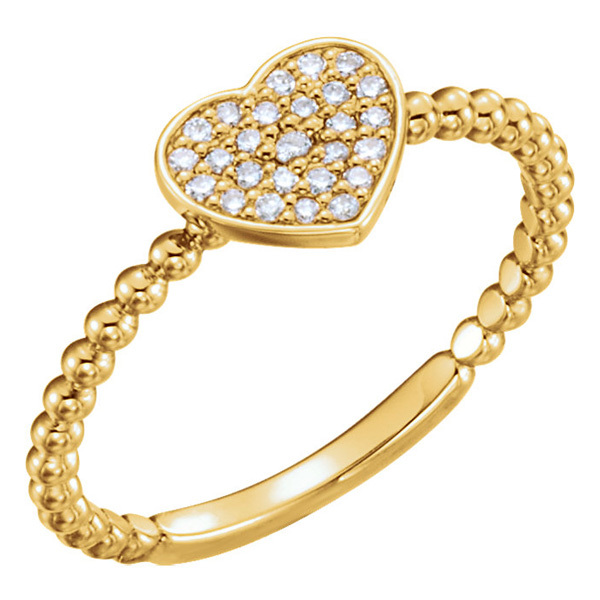 We guarantee our 14K Gold Beaded Diamond Heart Ring to be high quality, authentic jewelry, as described above.